Northern Ireland offers golfers a wide variety of excellent golf at over 100 courses throughout the countries six historic counties. From the Mountains of Morne to the stunning Atlantic coastline, golf in Northern Ireland offers something for all players. 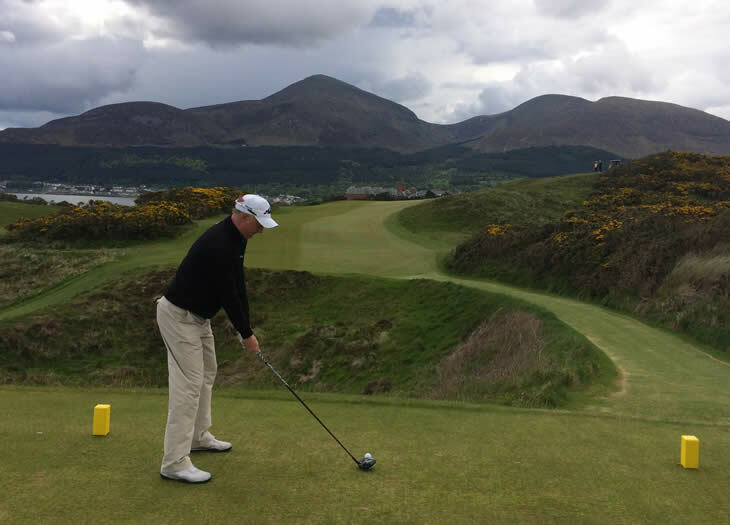 Northern Ireland boasts some fabulous links golf with the two supreme challenges of Royal County Down and Royal Portrush featuring on any must play list. Royal County Down (below) is regularly listed in the Top Ten Courses in the British Isles whilst the pedigree of Royal Portush is underlined by it being the only course outside Great Britain to have hosted the Open Championship, with Max Faulkner taking the title there in 1951. Although these two rightly grab the headlines Northern Ireland is dotted with other fabulous linksland tests and it is said that the views are so spectacular for golfers at Portstewart and Castlerock that it is hard for them to concentrate on the golf! There is more to golf courses in Northern Ireland than linksland though and the country is also home to some fine parkland layouts. The historic capital of Belfast boasts challenging courses at Royal Belfast and Belvoir Parkwhilst in the west of the country on the shores of Lough Erne, you will find the Lough Erne Faldo Course, a fine championship test. Although when talking about Northern Irish golf courses, those mentioned above sometimes grab the headlines, the greatest impression left of golf in Northern Ireland is the wide variety of courses available for golfers to play and of course the warmth of the welcome and the locals craic!